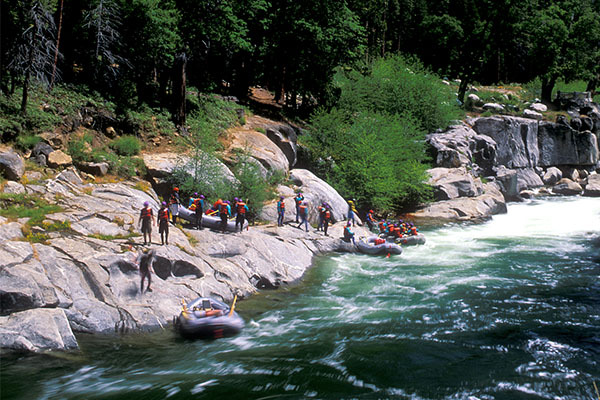 A well kept secret, the North Fork of the Stanislaus River features exciting Class IV+ rapids in a high elevation alpine scenery and close proximity to groves of Giant Sequoia Redwoods. This river is best suited for athletic and adventurous rafters as intense and technical paddling is required. Less than a minute from put-in, you'll crash through Class IV Beginner's Luck which is an immense staircase of drops, descending a total of 15-feet. After that wake-up call, the whitewater keeps coming in tight chutes and boulder-choked passageways like The Claw and Wallet Slot. 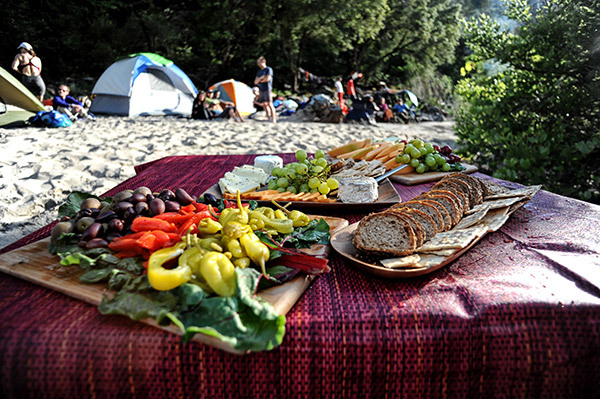 When the mood strikes, we'll stop for lunch on a forested riverside bank. Back on the water, there are still many Class III-IV challenges waiting downstream. 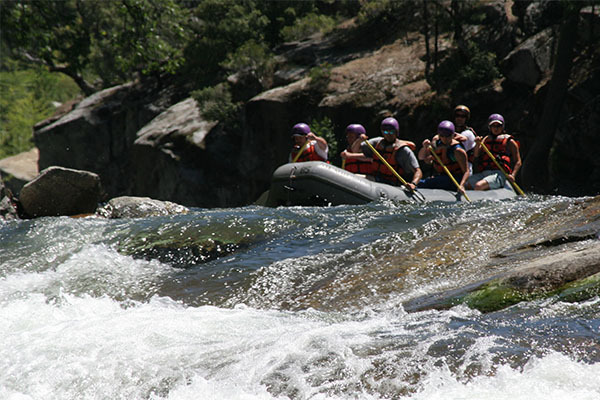 The final rapid is Sequoia Sluice, and because it's one of the biggest rapids, it serves as an appropriate climax to an intense day of rafting. The North Stanislaus' steep gradient (70' per mile) creates many stair-stepping drops and tumultuous twists and turns. You'll become an expert paddler, maneuvering through the river's speeding currents and tight chutes. And because All-Outdoors is one of the few outfitters permitted by the USFS to offer trips on the North Stanislaus, you will most likely have the river to yourself. The North Stanislaus canyon is part of what makes this trip one of our most unique. It begins at a high elevation--over 4000-feet in Stanislaus National Forest amidst towering pine and fir trees. The waterway itself is narrow and small, instilling the feel of an intimate mountain stream. Dogwood and wild azalea pepper the riverbanks. Halfway down this intense run we enter Calaveras Big Trees State Park which is home to the largest living trees on earth, the Giant Sequoia Redwoods. Just two and a half hours from Sacramento and three and a half hours from San Francisco, the North Stanislaus is close to many metropolitan areas. The small town of Angels Camp is a short half-hour drive. Nearby highways include 108, 4, 49, and 395. The North Stanislaus is an early springtime river. Even though there is one dam above this run, the river depends on snowmelt below the dam for its flows. The North Stanislaus begins to run when the snow below 6,000' begins to melt after winter. Flows are usually best from early or mid-April to mid-May. Even though its season is limited to just four to six weeks, avid rafters should make every effort to experience this unique run at least once. All-Outdoors runs paddle raft trips on the North Stanislaus. In a paddle raft, each guest and a professional guide have a paddle and navigate the river working as a coordinated team. 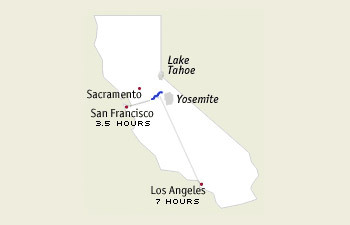 North Stanislaus trips are intense and highly participatory so guests need to be ready and willing to paddle. In times of extreme high water, we may elect to use oar-paddle combination rafts (a professional guide steers the boat with oars while simultaneously calling commands to paddlers in the boat). All guests should be able to swim. 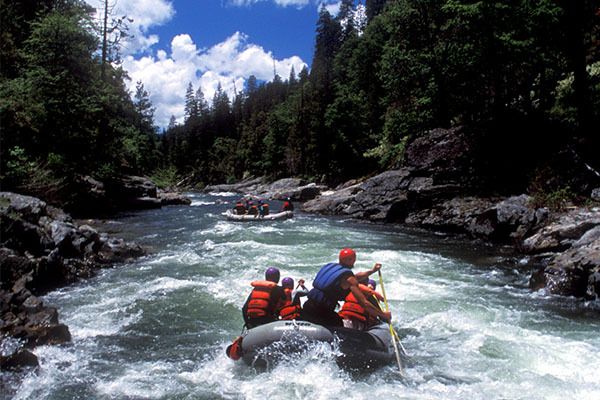 "Everything was phenomenal from the customer service to the lunch to the amazing guides and omg were the rapids great! An experience to remember for sure. I already can't wait to go back!" 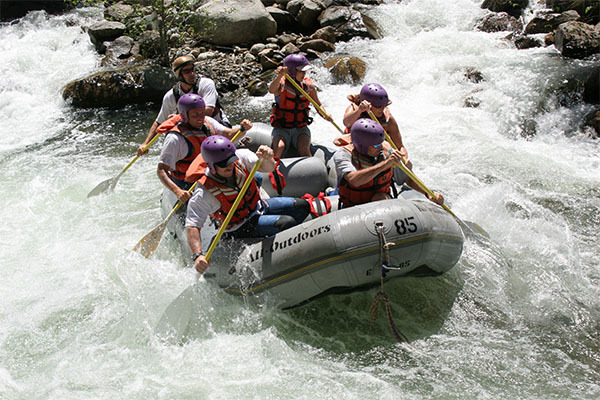 One of our specialties is creating fun and memorable whitewater rafting trips for small or large groups. What Type of Group Trip are You Looking For? I'm planning a trip for my friends and myself. I'm planning a family rafting trip. I'm organizing a family reunion. I'm planning a corporate off-site or executive retreat. I'm putting together a birthday party trip. I'm organizing and planning a class reunion. I'm looking for bachelorette party ideas. I'm planning a bachelor party.